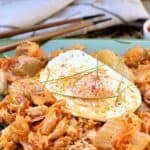 Jackfruit Kimchi Fried Rice. Spicy goodness ready in 30 minutes. 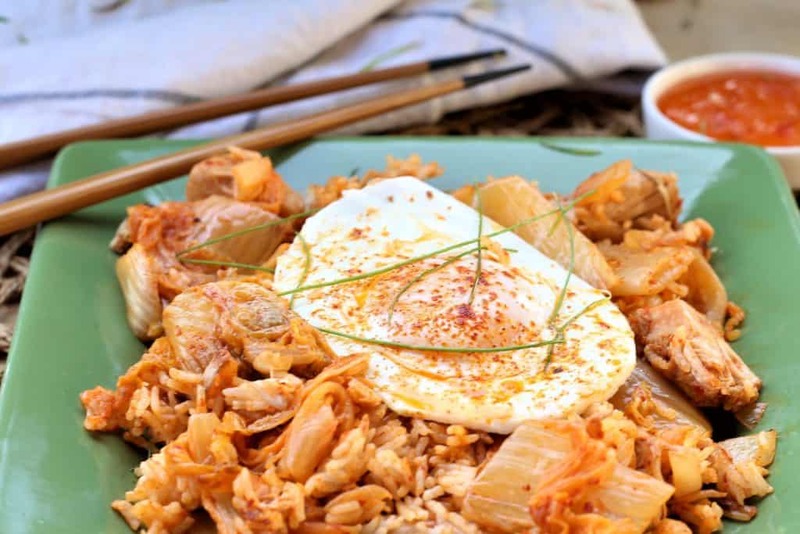 Jackfruit Kimchi Fried Rice. Although I am not an expert on Asian food, I do appreciate the cuisine, and readily admit that this is not something I learned to cook from my mother. 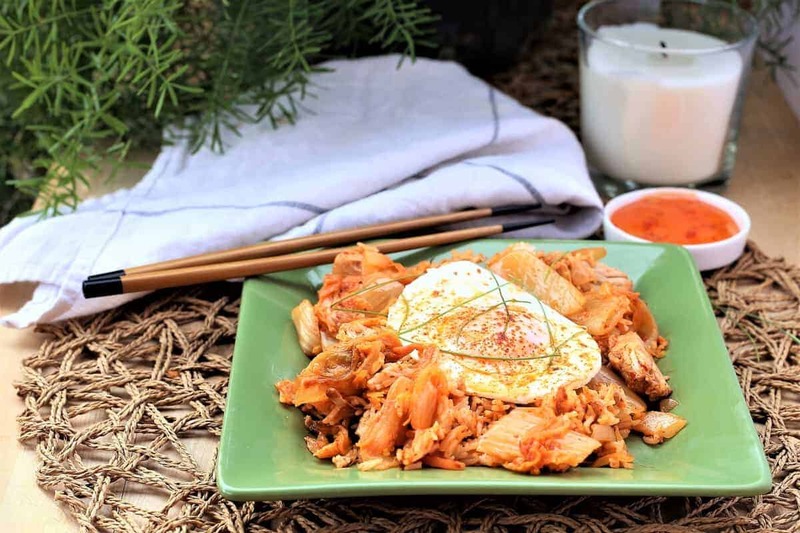 With that said, I saw a mesmerizing video on Facebook by Chef Deuki Hong where he prepared Kimchi Fried Rice containing traditional ingredients like bacon and butter. It looked so delicious, I really want to make something similar, with great spicy flavor. Here is an adapted version… vegan, vegetarian, gluten free and dairy free, inspired by him. Ready in 30 minutes. 2 cups kimchi I used Trader Joe's(if you are strictly vegan, please read the Kimchi label as some contain fish sauce). 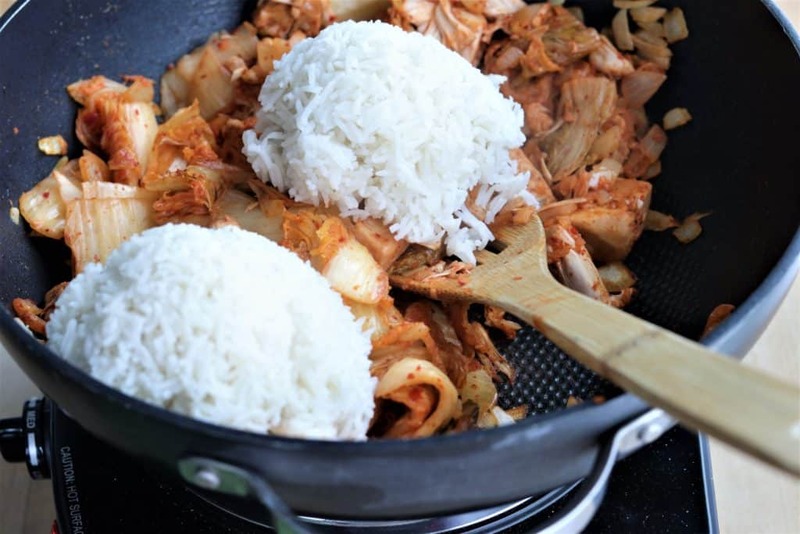 Stirfry jackfruit, salt, garlic, paprika and onions until tender, approximately 5 minutes. Add kimchi and cooked white rice and stir until heated throughly. Serve with fried egg for vegetarian option or no egg for vegan option. Top with minced green onions and sprinkled smoked paprika.